In excellent condition two small corner chips, a scratch on a corner, other minor marks. 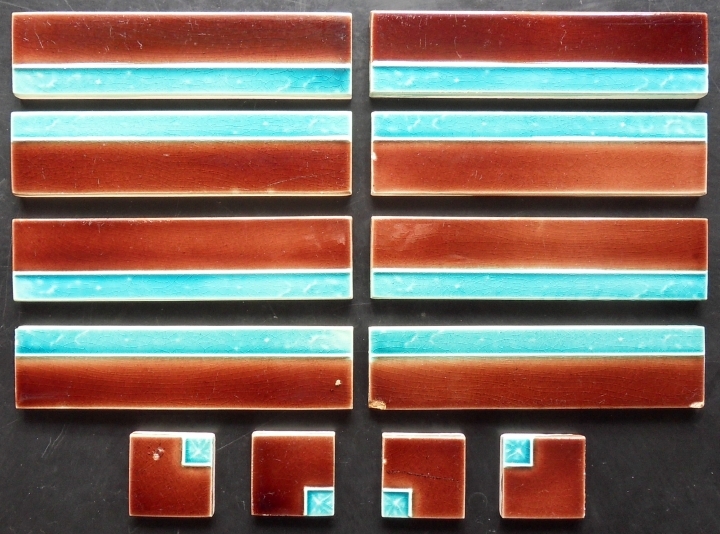  Maker: Minton Hollins & Co.
A group of eight borders and four corners, very rarely found, in turquoise and mahogany glazes. 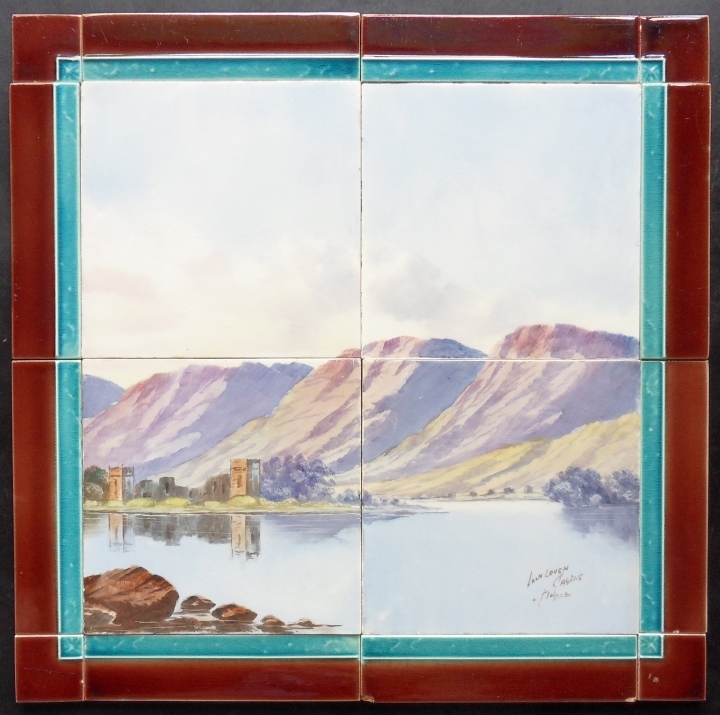 Borders comprising an half inch inner border and a one inch outer border (perhaps with further borders) are very common in victorian and edwardian installations nicely setting off decorative tiles in a field of plain tiles, it is mosy unusual to find a purpose made set. Will nicely frame a group of four 6' x 6' tiles as above or three 6' x 6' tiles as a frieze or panel as below. Versos very clean, embossed embossed M. H. & Co..